Michael Coleman is the Business Manager/President of SMART Local 33, which spills into three states and represents approximately 4,000 working members. As Business Manager, Mike is responsible for the daily operations of eight District offices and a staff of 14 employees. At the request of the SMART General President, Mike serves as a Trustee on the SMART National Pension Fund and the SMART International Scholarship Fund. Mike also serves on the SMART Industrial Committee and SMART Architectural Committee. He is the Chairman of his Local’s Pension Fund and also serves as a Trustee on local JATC and Health & Welfare Funds. Mike is a first-generation sheet metal worker, starting his apprenticeship in 1985 and graduating in 1989. 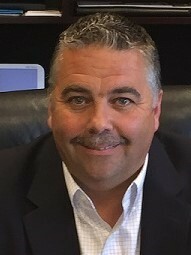 Local 33 members elected Mike to their Executive Board in 2000, and they elected him as a Business Representative in 2002. He was elected Business Manager in 2012. He is also an unapologetic Cleveland Browns fan.